A sting operation is a deceptive method of catching a criminal or their accomplice. 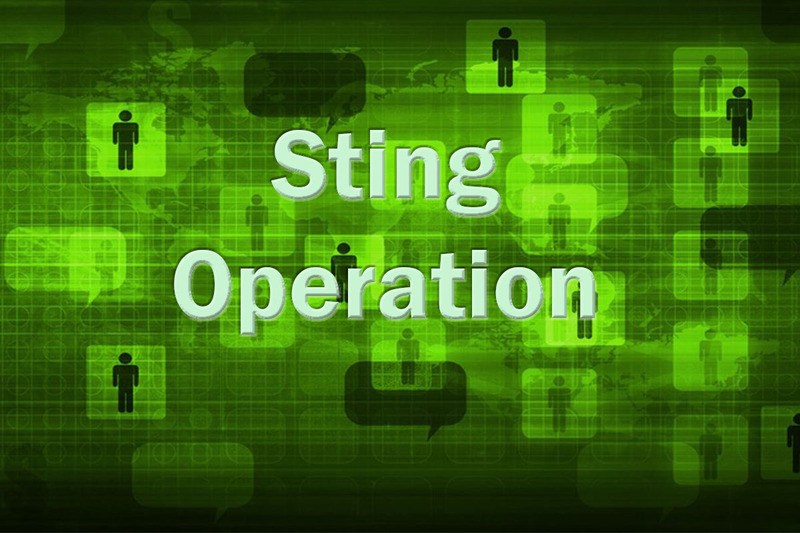 In most cases, those that employ sting operation must be highly trained individuals who are able to take care of any risks which may come up in the operation. If you need to carry out such sting operation to establish a certain truth, you need to hire the best private investigators in India; the National Detective Agency. Hiring us for sting operation has several benefits compared doing it yourself or hiring other firms who have little experience doing so. Security is paramount when dealing with such an activity. Our expert detectives know how to reduce the amount of risk on the individual involved. Some sting operations turn out to be too risky to undertake for anyone without training on how to handle dangerous situations. For all you may know, the criminal you intend to nail may become violent and attempt to kill to free themselves. Our experts have the best training in the field. They will put the situation under control in no time. Such sting operations focus on finding out the truth by gathering the required evidence. Of this operation to be a success, you need to have various parties handling it from different angles. You may need an individual with a camera to take care of the recording in an effort to nail a criminal. That is where we come in. We will use our highly trained and experienced personnel to establish the truth your activity of interest. We have the best experience in this field when it comes to carrying out sting operations. Since our company was started, we have solved a lot of cases which seemed hopeless owing to a lack of evidence. However, using our skills in nailing criminals and their accomplices, we have managed to make the most of what is required of us and, in the process, helped our clients win their cases due to overwhelming evidence. The other reason you should choose our services when carrying out such a hazardous operation is that the whole act will remain anonymous and only the evidence will surface in court or anywhere it is needed. You do not need to make it known that your are carrying out an operation to catch a criminal or their accomplice. We can securely and professionally handle such activities. Operations like this one are meant to establish a truth about an issue which does not have tangible evidence. With the skill and experience on our team, the National Detective Agency will present you with the information you require to close in on a case. We present evidence in the form of video and pictures which will be irrefutable when presented in a court of law. Call us and we will plan out exactly how to make use of our capabilities for your benefit. At the National Detective Agency, we believe in quality and timely work which our clients have trusted us to present ever since the firm was formed.